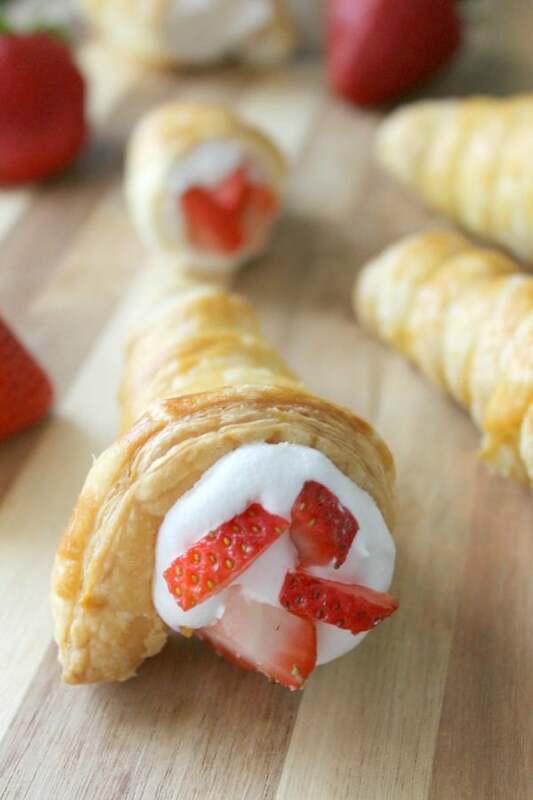 Strawberry Shortcake Horns are a simple elegant twist to a classic summertime treat! Summer is not summer without a classic Strawberry Shortcake to eat. 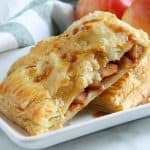 I cranked it up a notch and flipped this classic into a delightful but somewhat elegant dessert by placing the main components into puff pastry horns! I know what you are thinking, these are not your typical shortcakes. That’s okay, I am about to give you a little history and tell you where my take on this fantastic dessert came from, so stick around! Strawberry Shortcakes originated somewhere around 1847, which is something I never knew! The cake part is originally a biscuit that derives from a European influence. The whipped cream used to be icing! Gosh this classic dessert has really changed over time! I love that it did because I am such a fan of it! There is something about adding whipped cream and strawberries together that is a combination like no other! 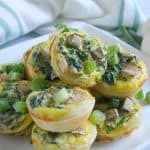 Because I work with puff pastry a lot I am always looking and experiment with different types of recipes. 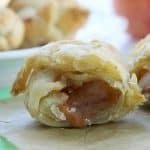 One way to use puff pastry is to make horn like pastries and fill them with anything your heart desires. 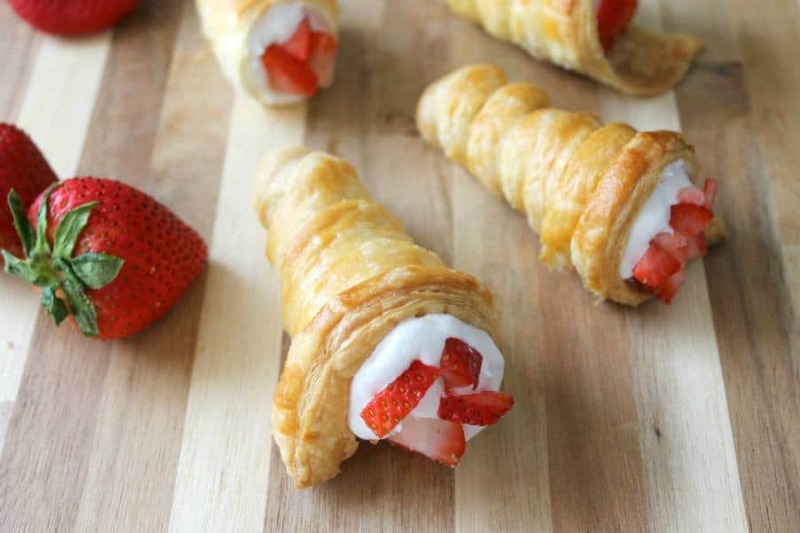 I think cream horns are so simple and so pretty. Oh and they taste pretty good too. Nevertheless I was thinking of what to share with you this month and because summer is officially here, finally, I thought why not something with strawberries! 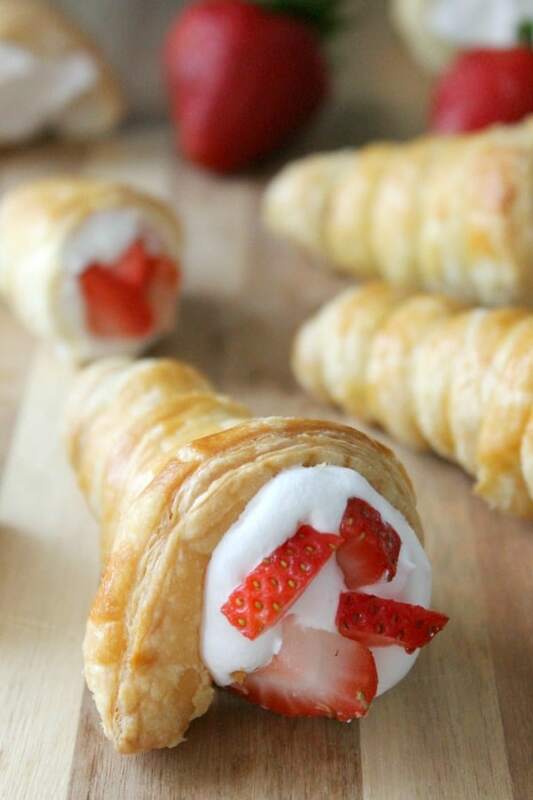 Now you know how I got to my process of making these Strawberry Shortcake Horns Recipe! Don’t let making the horns scare you off. It may take a few minutes of figuring out how to wrap the pastry around your foiled cone but once you do it a few times it is super simple. A word of advice as well, start from the bottom of your cone and not the top! I did that the first few times and then realized that the bottoms of my horns were opened and not tightly closed! Oops! 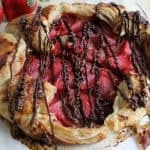 If you like these Strawberry Shortcake Horns you are going to love this Strawberry Shortcake Muddy Buddies or Strawberry Cream Puff Pastry Cups! Give it a try and let us know what you think!